MILPITAS, Calif., and YAVNE, Israel, March 19, 2018 – KLA-Tencor Corporation (NASDAQ: KLAC) (“KLA-Tencor”) and Orbotech Ltd. (“Orbotech”) today announced they had entered into a definitive agreement pursuant to which KLA-Tencor will acquire Orbotech Ltd. (“Orbotech”) for $38.86 in cash and 0.25 of a share of KLA-Tencor common stock in exchange for each ordinary share of Orbotech, implying a total consideration of approximately $69.02 per share. The transaction values Orbotech at an equity value of approximately $3.4 billion and an enterprise value of $3.2 billion. In addition, KLA-Tencor announced a $2 billion share repurchase authorization. The share repurchase program is targeted to be completed within 12 to 18 months following the close of this transaction. With this acquisition, KLA-Tencor will significantly diversify its revenue base and add $2.5 billion of addressable market opportunity in the high-growth printed circuit board (“PCB”), flat panel display (“FPD”), packaging, and semiconductor manufacturing areas. The broader portfolio of leading products, services, and solutions, as well as increased exposure to technology megatrends, will support KLA-Tencor’s long-term revenue and earnings growth targets. Total cost synergies are expected to be approximately $50 million on an annualized basis within 12 to 24 months following the closing of the transaction, and the transaction is expected to be immediately accretive to KLA-Tencor’s revenue growth model, non-GAAP earnings and free cash flow per share. The transaction has been approved by the Board of Directors of each company and is expected to close by the fourth quarter of calendar year 2018, subject to approval by Orbotech’s shareholders, required regulatory approvals and the satisfaction of the other customary closing conditions. No approval by KLA-Tencor stockholders is required. The transaction is not subject to any financing conditionality. KLA-Tencor intends to fund the cash portion of the purchase price with cash from the combined company’s balance sheet. In addition, KLA-Tencor intends to raise approximately $1 billion in new long-term debt financing to complete the share repurchase. J.P. Morgan acted as exclusive financial advisor to KLA-Tencor; Wilson Sonsini Goodrich & Rosati acted as KLA-Tencor’s U.S. legal counsel; and Meitar Liquornik Geva Lesham Tal acted as KLA-Tencor’s Israeli legal counsel. Barclays acted as exclusive financial advisor to Orbotech, Cravath, Swaine & Moore LLP acted as Orbotech’s U.S. legal counsel, Tulchinsky Stern Marciano Cohen Levitski & Co. as Israeli legal counsel, Goldman Sachs acted as special advisor to Orbotech’s transaction committee. This press release contains forward-looking statements as defined in the Securities Exchange Act of 1934 and is subject to the safe harbors created therein. These forward-looking statements involve risks and uncertainties that could significantly affect the expected results and are based on certain key assumptions. Due to such uncertainties and risks, no assurances can be given that such expectations will prove to have been correct, and readers are cautioned not to place undue reliance on such forward-looking statements, which speak only as of the date hereof. The forward-looking statements contained herein include, but are not limited to, the manner in which the parties plan to effect the transaction, including the share repurchase program; the ability to raise additional capital necessary to complete the repurchase program within the time frame expected; the expected benefits, synergies and costs of the transaction; management plans relating to the transaction; the expected timing of the completion of the transaction; the parties’ ability to complete the transaction considering the various closing conditions, including conditions related to regulatory and Orbotech shareholder approvals; the plans, strategies and objectives of management for future operations; product development, product extensions, product integration, complementary product offerings and growth opportunities in certain business areas; the potential future financial impact of the transaction; and any assumptions underlying any of the foregoing. Actual results may differ materially from those referred to in the forward-looking statements due to a number of important factors, including but not limited to the possibility that expected benefits of the transaction may not materialize as expected; that the transaction may not be timely completed, if at all; that KLA-Tencor may not be able to successfully integrate the solutions and employees of the two companies or ensure the continued performance or growth of Orbotech’s products or solutions. In addition, other risks that KLA-Tencor faces include those detailed in KLA-Tencor’s filings with the Securities and Exchange Commission, including KLA-Tencor’s annual report on Form 10-K for the year ended June 30, 2017 and quarterly report on Form 10-Q for the quarter ended December 31, 2017. Other risks that Orbotech faces include those detailed in Orbotech’s filings with the Securities and Exchange Commission, including Orbotech’s annual report on Form 20-F for the year ended December 31, 2017. This press release is being made in respect of a proposed business combination involving KLA-Tencor and Orbotech. This press release does not constitute an offer to sell or the solicitation of an offer to buy or subscribe for any securities or a solicitation of any vote or approval nor shall there be any sale, issuance or transfer of securities in any jurisdiction in which such offer, solicitation or sale would be unlawful prior to registration or qualification under the securities laws of any such jurisdiction. The proposed transaction will be submitted to the shareholders of Orbotech for their consideration. KLA-Tencor intends to file with the SEC a Registration Statement on Form S-4 that will include a preliminary prospectus with respect to KLA-Tencor’s common stock to be issued in the proposed transaction and a proxy statement of Orbotech in connection with the merger of an indirect subsidiary of KLA-Tencor with and into Orbotech, with Orbotech surviving. The information in the preliminary proxy statement/prospectus is not complete and may be changed. KLA-Tencor may not sell the common stock referenced in the proxy statement/prospectus until the Registration Statement on Form S-4 becomes effective. 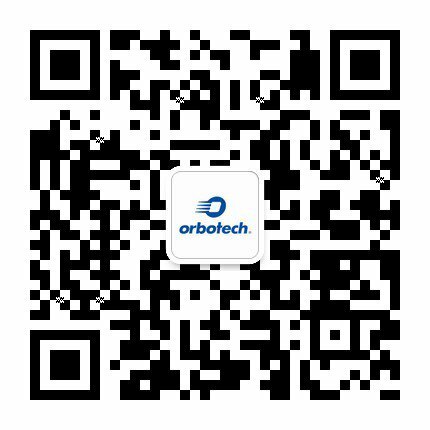 The proxy statement/prospectus will be provided to the Orbotech shareholders. KLA-Tencor and Orbotech also plan to file other documents with the SEC regarding the proposed transaction.